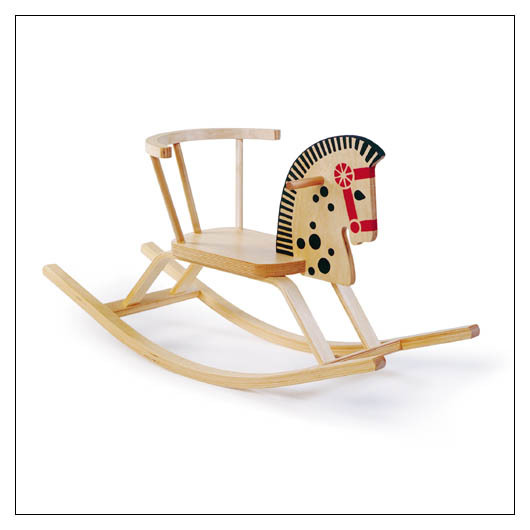 Baltic Rocking Horse (ROKHORS) at Pure Design Kids / Toys / Rockers ::: Kids' Toys, Furniture and More at Pure Design Kids! Imported from Europe, this sturdy rocker has been in production for over 50 years. It will never go out of style, and is sure to be a classic for the next 50 years. Designed in Europe. Birch Ply - Painted Face. 12d x 34w x 18h. Seat: 9h.